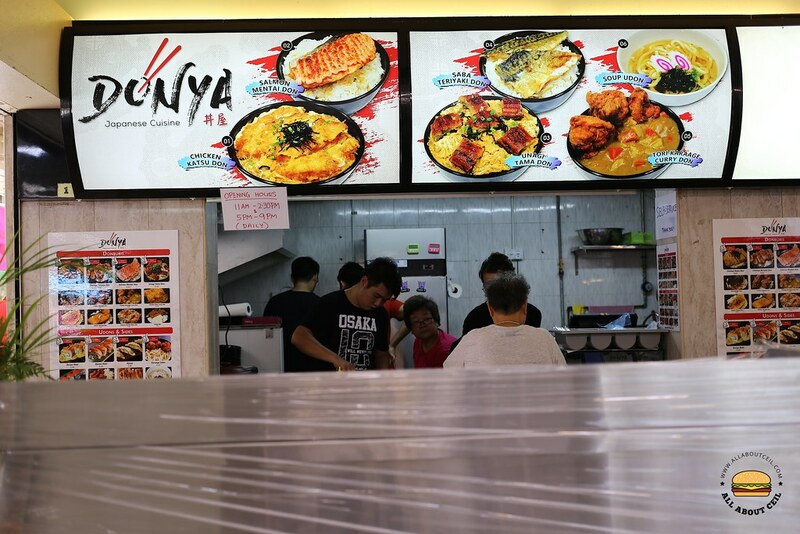 This is a newly opened Japanese food stall in a coffee shop directly opposite the food centre at Toa Payoh Lorong 1. 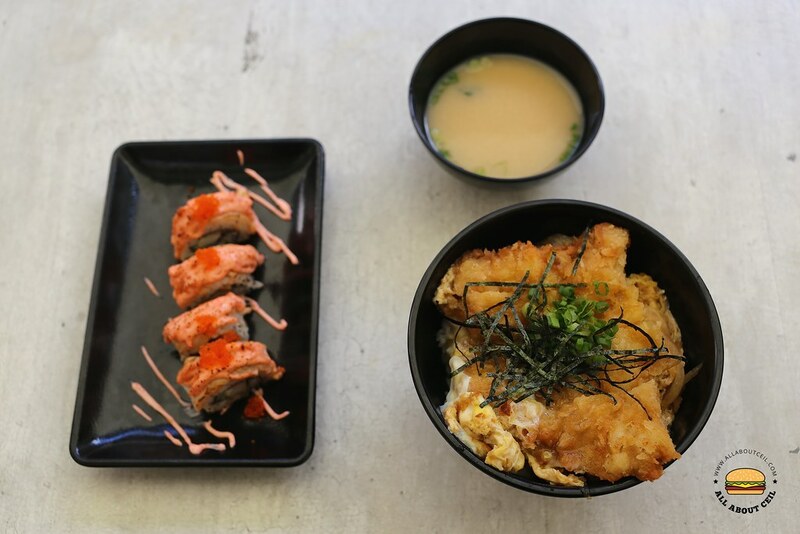 They aim to bring premium Japanese donburi and sushi to the heartlands at affordable prices from $5.80 to $9.80, using quality ingredients to bring forth dishes that are of standards as good as the restaurants at coffee shop prices. Japanese fare is not necessarily to be expensive these days as there are more and more such hawker stalls even though their standard might not be as high as those Japanese restaurants, it is usually pretty close. I decided to go with their Chicken Katsu Don ($5.80) and Mentai Maki ($5.80). I was told that my number is 59 after making payment. I asked, "How would I know when it is ready?" The friendly lady at the counter, said, "We will ring the bell and shout the number." I managed to find a table that is not too far from their counter so I could hear it when the number is called. I had waited for about 10 minutes before I heard my number being called. I went to the counter, collected both items and walked away. Just a couple of seconds later, the chap came over with the miso soup. He said, "You still have a bowl of miso soup." I suppose that miso soup came along with the Chicken Katsu Don. The service was friendly and they even made an effort to say "Thank You," which is commendable. 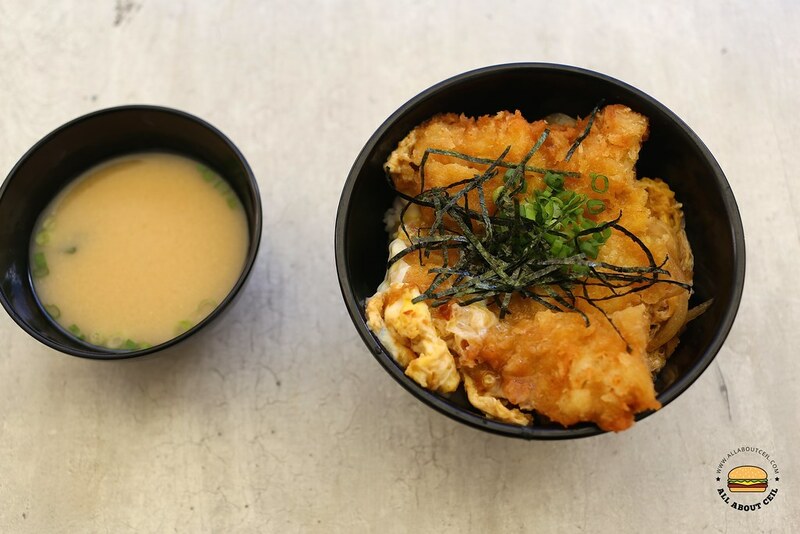 The Chicken Katsu Don is of a pretty good value, it consists of a thick piece of perfectly fried breaded chicken simmered in a soy-dashi based broth with shredded onion with beaten egg then sprinkled with dried shredded seaweed and scallions before serving. The breading on the fried chicken has absorbed the delightful flavor of the broth and went well with rice. This is the nicest hawker-style Chicken Katsu Don that I have eaten, it is even better than the other one by Konomi Zen, another Japanese hawker stall at the food centre near where I stay. Again, there is a difference in price though, that one by Konomi Zen is priced at $3.50 but it came with a thinner slice of Chicken Katsu. 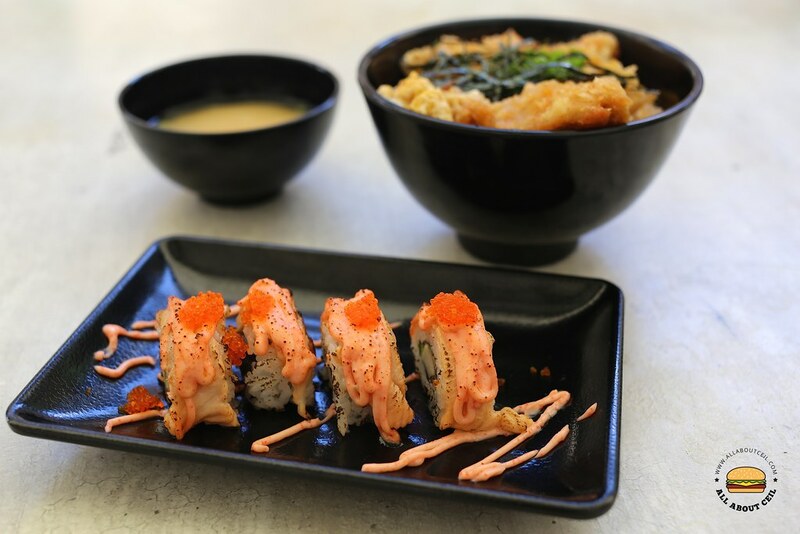 They are likely to be the first hawker stall that serves premium sushi rolls like Mentai Maki. 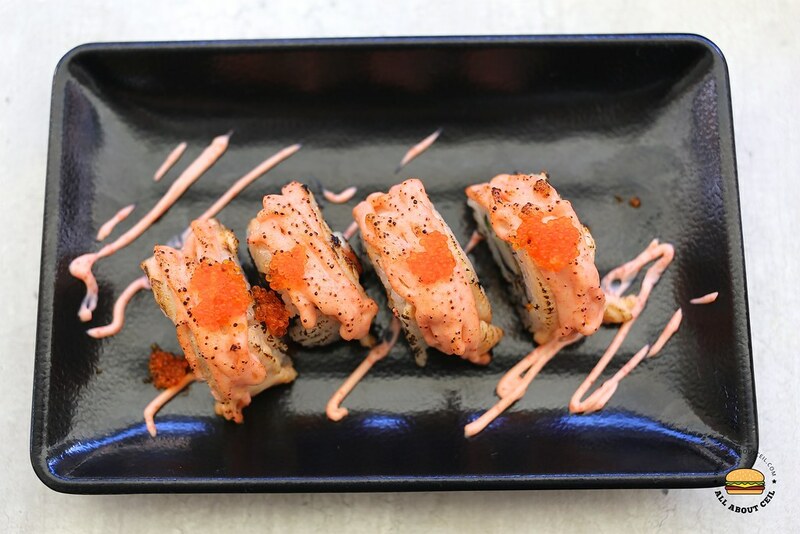 The California Maki was topped with mentaiko sauce then lightly torched before finishing off with tobiko (flying fish roe), serving in 4 pieces for just $5.80, which is affordable and probably one of the cheapest ones around. There are other items on their menu that I am interested in trying like the Unagi Tama Don ($8.80), Salmon Mentai Don ($8.80), Chicken Teriyaki Don ($6.80), Donya Maki ($5.80) and also the Gyoza ($3.80).